Drying Time: Touch Dry Not more than 15 minutes. Hard Dry Not more than 4 hours (4-6 ml wet Film thickness). Method of application: Apply with putty knife. We are actively involved in the fabrication of superlative quality Acrylic Wall Putty. Our Wall Putty is popularly called as Snow White Premium Wall Putty. The raw materials, which we use, ensure the high durability of our products. 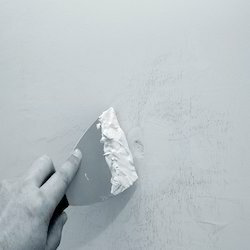 The White Acrylic Wall Putty is water based and considered ideal for preparing undercoats for walls. Our firm is devotedly betrothed in presenting an extensive series of Water Based Acrylic Wall Putty. These are made as per market demand using the advanced techniques. Asian Paints Acrylic Wall Putty is a water based putty that enhances the durability as well as look of your paints. It is one of the best products in its segment and provides a very strong.